This is an excellent new book on British politics and Europe which I finished last week. Roger Liddle was Tony Blair’s special adviser on European Policy between 1997 and 2004. The book is a fascinating and stimulating account of the real nature of Blair’s Europeanism and approach to European policy making during the New Labour years, as well as a passionate argument for Britains continuted relationship with Europe and ways in which this can be improved and developed. 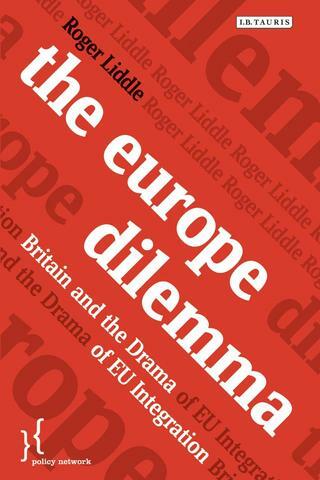 For my own direct research interests, Liddle also has a short section on Cameron’s approach to Europe under the coaltion, but most of the book is dedicated to the process of European integration under New Labour and how the European Union should be reformed in the future. If you are interested in the recent debates surrounding British politics and European integration, this is a very good place to start. I’m going to write a short review of it for Political Studies Review, which I’ll link to on here when it is up. Other places to read/buy this book are probably available. Though perhaps for not much longer.